Each day campers will participate in a two-hour interactive and fun session taught by expert teachers. 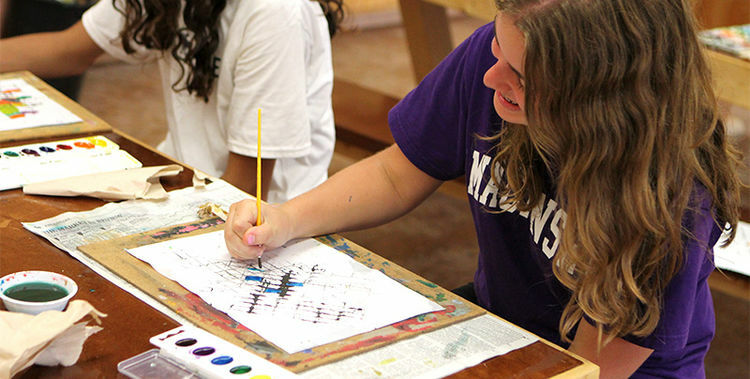 Majors are a two-week experience that allows our campers to specialize in the area of greatest interest to them. Each day campers will participate in a two-hour interactive and fun session taught by expert teachers. Majors are a balance between high quality instruction, active participation and fun. Each day during Morning Rally, our seniors will learn about the Minor offerings of the day. Just like sleepaway camp, they will choose whichever activity feels right at that very moment. All of the options will focus on skill development and fun. There is nothing better than taking part in an activity designed just for you! Every Thursday our seniors will participate in camp-wide Special Events or have a Special all their own at Elmwood. Kickin It In the Quad is a short daily free-play time for our campers. Famous Elmwood guests will join us for fun and games.